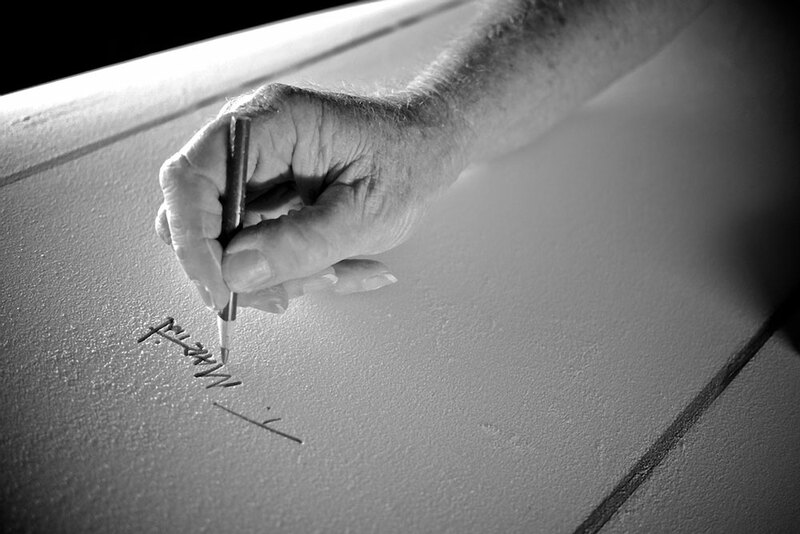 The surfing world lost one of it's great treasures on May 12, 2012, with the passing of legendary shaper, Terry Martin. Terry was a gem of a human being and unquestionably had shaped more surfboards than anyone else by the tens of thousands. Terry was irreplaceable and will be missed by anyone who had the fortune of crossing his path or riding one of his surfboards. A service was held on Friday, May 18, with over 1,000 in attendance and then 400 plus attended the fundraiser auction at the Dana Point Ocean Institute, 2 days later. Some amazing boards and artwork now reside in private hands. A replica of the first board Terry shaped (which was also the last one he shaped as part of the auction) was a huge fundraising item and it will remain part of Terry's family and will be displayed at the Dana Point Hobie Store. The Surfer's Journal has a couple articles you can read HERE: and HERE.